A timeless classic in baby development toys! This rattle features 2 balls to turn and watch as the colours blend and Sophie the Giraffe's head to spin. 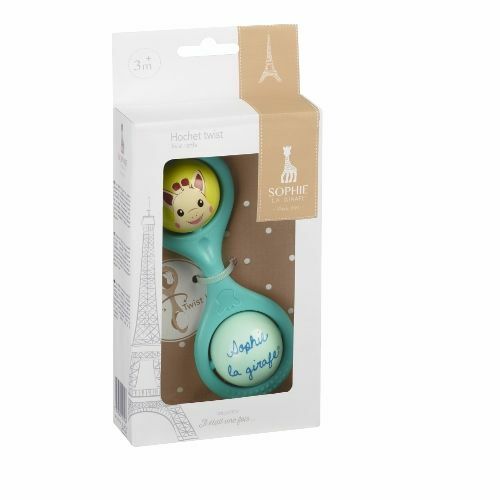 Lightweight and easy to grab its handle specially designed for little hands, your baby will enjoy handling it and making the two little balls rattle. It's fun! The two ends rotate, twisting in the middle. The varied textures help to develop your baby's sense of touch.